The guidebook’s prose read like a local’s narrative sharing the best, the hippest, the fascinating, the unusual, the most popular, the oldest, the newest, and the hidden secrets around this beloved pioneering city—the birthplace of the Industrial Revolution—that rose from the ashes, literally, reinventing itself following the 1996 IRA bombing that destroyed the city center. And to fully understand the North, a visit here is not complete without a country drive through Yorkshire, the largest county in the United Kingdom. Sometimes called “God’s Own Country,” it is also the birthplace of saints, scientists, inventors, explorers, writers, artists, musicians, and actors—and home to a greatly loved veterinarian. Surrounded as far as the eye can see by Yorkshire Dales National Park, it was a Norse kingdom in ancient times and known to historians as Scandinavian York. Peering out the cab window I saw a cool and lively metropolis—hipsters, white-collar workers, and fashionistas bustling through the urban landscape of magnificent Gothic buildings and 21st century glass towers. A unique sighting was the gold cotton boll topping the clock tower of Town Hall, one of the world’s finest examples of Gothic Revival architecture. During the height of the cotton trade (between the 18th and 19th centuries), Manchester was called “Cottonopolis.” It reached international dominance in cotton manufacturing thanks to the invention of the cotton gin in 1793 by American Eli Whitney combined with Manchester’s geography of rivers and streams that powered the mills and its canal system that transported goods. 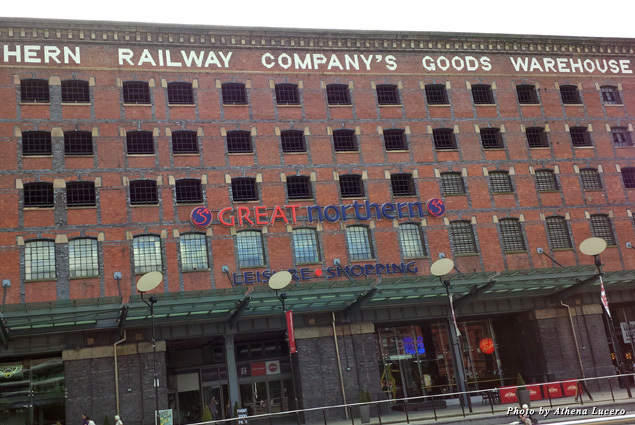 An industrial city no longer, Manchester’s pioneering legacy lives on through the old mills and warehouses that have been given new life as living quarters, shops, restaurants, entertainment venues, and lodging. 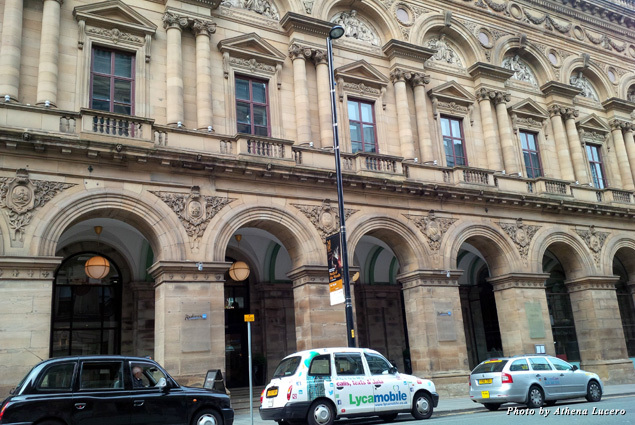 So how fitting it was to check in at the Radisson Blu Edwardian inside the sandstone façade of the historic Free Trade Hall-turned concert hall-turned luxury hotel on Peter Street. The Italian Palazzo structure was built in 1853 on the site of the Peterloo Massacre to commemorate the peaceful meeting of more than 60,000 who had gathered at Peter’s Fields in 1819 to hear pro-democracy and anti-poverty speeches when armed cavalry charged the group killing 16 and injuring 700. Ready or not, Manchester, the first modern city, was blazing the uncharted trail of “new capitalism” as it evolved economically and socially. The totally modern 263-room hotel also pays homage to the earlier lives of this city landmark with low-key signage, a memorial plaque at the entrance, and guest rooms named after artists who have entertained the masses through the decades—Ella Fitzgerald, Bob Dylan, and Led Zeppelin, to name a few legends. Today, Manchester’s ethnically diverse population is more than 500,000 strong and, in the forward-thinking Mancunian spirit, has reincarnated into a tech-centric post-industrial city bulging at the seams with culture and inspiration for fans of art, music, dining, fashion, football, science, and media. 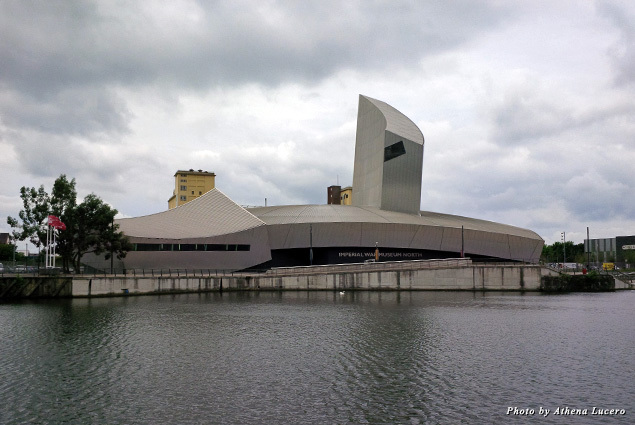 After a divine breakfast of kippers grilled in butter, I hit the streets and within 24 hours had visited four remarkable museums—the award-winning Whitworth, the Imperial War Museum, The Lowry arts center, and the Manchester Art Gallery. Town Hall, with its collection of statuary, and the John Rylands Library, founded by Rylands’ Cuban-born wife Enriqueta Augustina Rylands in memory of her husband and considered one of the world’s most beautiful libraries, are Gothic masterpieces and museums themselves. Museum-hopping in Manchester had turned into an activity as I traipsed around the city’s walkable streets mixing it up while exploring shops, the canals, a tea house (Proper Tea), and a wine merchant (Hanging Ditch) scattered through the compact city’s various districts—Piccadilly, Castlefield, Chinatown, Oxford Road, the Northern Quarter, and Salford Quays where BBC North has offices at MediaCityUK. And the city’s highlight this year was the two-week-long Manchester International Festival (aka MIF) held every two years. Launched in 2007, it is recognized as the world’s first and most important festival showcasing original new work in the performing and visual arts. 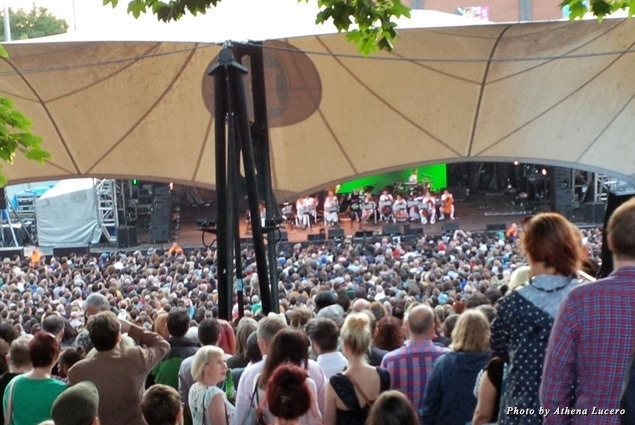 Much anticipated Bjork opened MIF15 with an outdoor concert at Castlefield Bowl, mesmerizing fans with works from her new album, “Vulnicura.” And at the Palace Theatre the premiere of “wonder.land” lit up the marquee. Co-produced with the National Theatre in London, the thought-provoking and entertaining musical is a brilliant digital take on Lewis Carroll’s “Alice in Wonderland” and has moved to the National Theatre for its winter line-up. 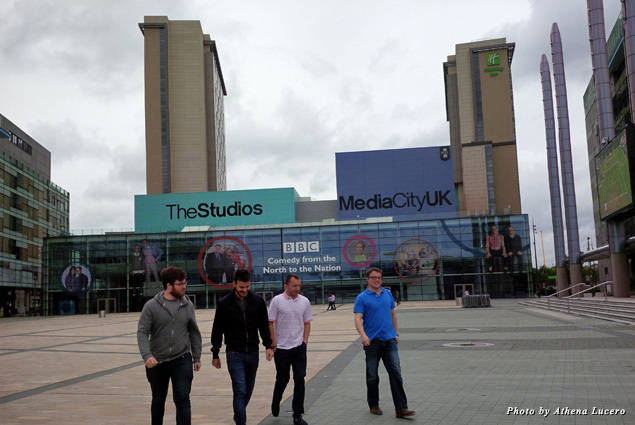 The fantastic energy of Manchester was contagious, and I could have stayed weeks. But ready for a bit of contrast and eager to explore the North Country’s famous landscapes, I hopped the train and ventured an hour and a half out of the city to see it with my own eyes. 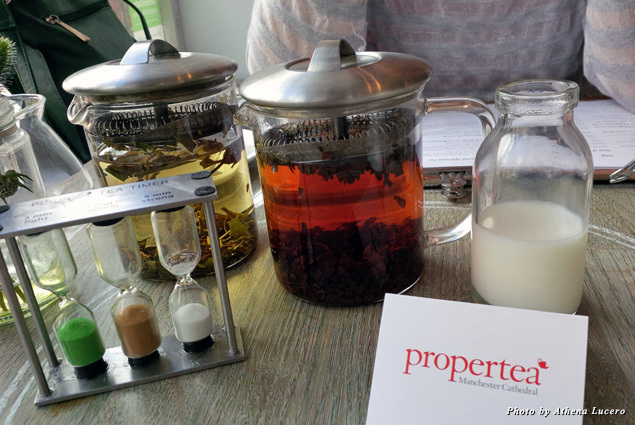 First stop: the walled city of York. Founded by the Romans in 71 CE and called “Eboracum,” the fortress was built where the Ouse and Foss rivers meet. By 866, it was captured by the Danes and became the Viking kingdom of Jorvik (York) and a major port on the Viking trade route. The Middle Ages saw York as a major wool trading center; by the beginning of the 20th century, the railway and confectionary industries dominated. 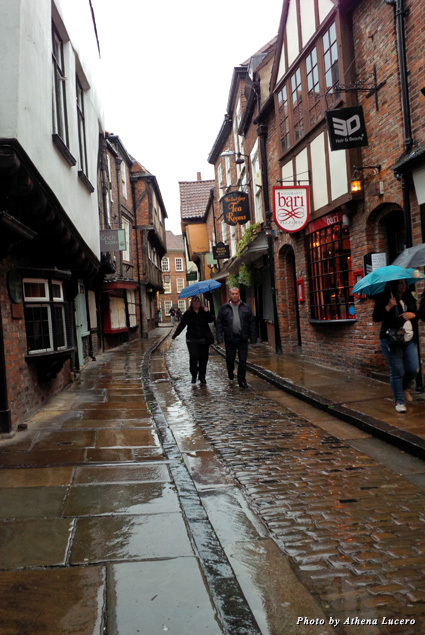 York was certainly at the top of its game throughout history. 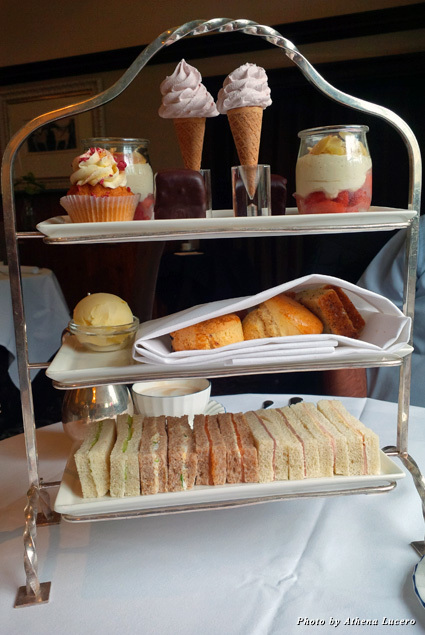 And as I wandered the maze of cobblestoned streets, sat in the square, and explored museums, fashion boutiques, chocolate shops, and the famous Betty’s Tea Room (a Yorkshire institution) I embraced remnants of those early chapters in history. That includes the original fortress gates called “bars” that explained the name of my lodging, Monkbar Hotel, named for the stone gate across the street; the remarkable Jorvik Viking Centre, built in 1984 after an entire Viking village was discovered during the planning of a shopping center and remodeled in 2010 with high-tech animatronics as well as an extraordinary ride (really) back in time; and the “grand headquarters” of North Eastern Railway, which enjoyed a rebirth as the Grand Hotel & Spa, York’s first five-star hotel. 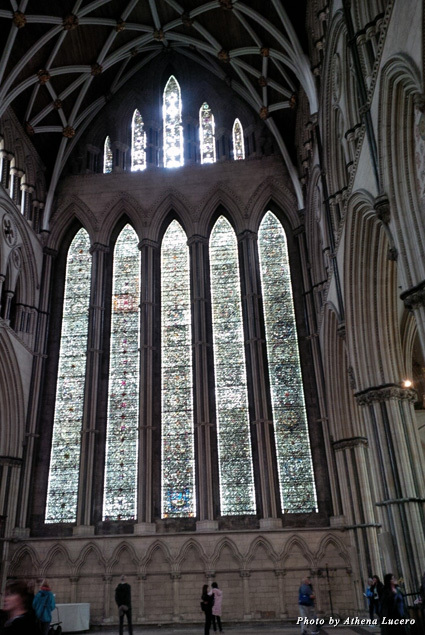 But the crown jewel of York is the 800-year-old York Minster that took 250 years to build and is one of the largest medieval Gothic cathedrals in the world with a collection of the most intact medieval stained glass. I had no idea of its size until I turned the corner onto Deangate and my jaw dropped. So the best way for visitors to enjoy a drive through the romantic expanse of the Yorkshire Dales is with someone who knows the lay of the land, such as my driver and guide Alan Rowley, a Yorkshire native with a bit of Viking DNA (he believes) and proprietor of Yorkshires True Tours. With Rowley’s energy, encyclopedic mind, and sense of humor, the road trip was a lively mini-course on Yorkshire. “Canola is grown here and is very good business,” said Rowley, pointing to fields of rapeseed (called canola in North America). 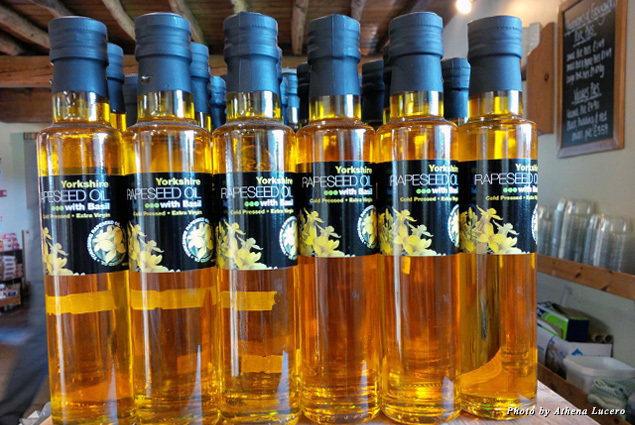 And during a pit stop at Beadlam Grange Farmshop and Tearoom in Helmsley, the heart-healthy liquid gold—cold-pressed and bottled in Yorkshire—lined the shelves. I also took note that no two fields are necessarily the same. 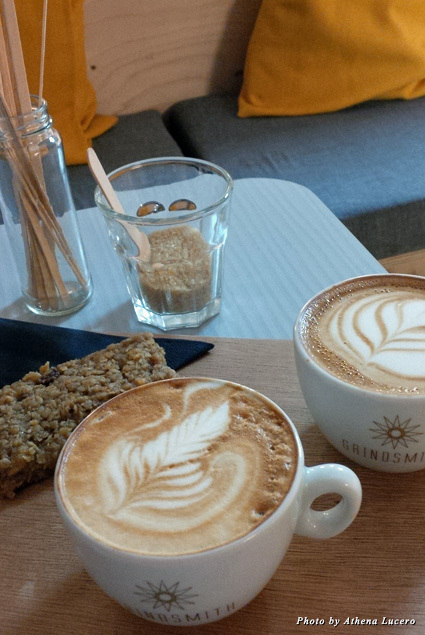 “Wheat sways, barley stands.” Or is it the other way around? 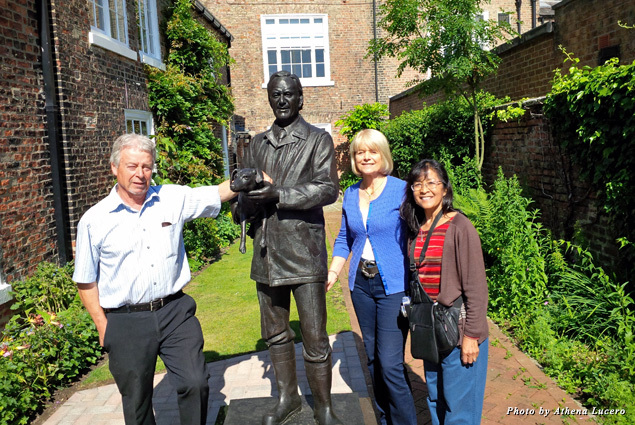 If there’s a place in Yorkshire that draws a pilgrimage, it’s the World of James Herriot museum in the village of Thirsk that honors the English veterinarian beloved throughout the world for his best-selling stories and television series about life as a country vet—and in doing so put Yorkshire on the map. Who hasn’t read, or knows someone who has read, “All Creatures Great and Small”? In the three-story house where James Herriot (the pseudonym of James Alfred Wight) practiced for 50 years (and with his wife raised their children, Jim and Rosie), visitors can see up close where he lived and worked, including the sitting room, pharmacy, surgery, veterinary exhibits, the BBC set for the TV series, endearing memorabilia of photos and Herriot’s handwritten letters, his books, and the stunning life-like statue of Herriot erected in the garden last spring. In May 2015, the World of James Herriot received the prestigious Gold Award for Best Small Visitor Attraction in England. 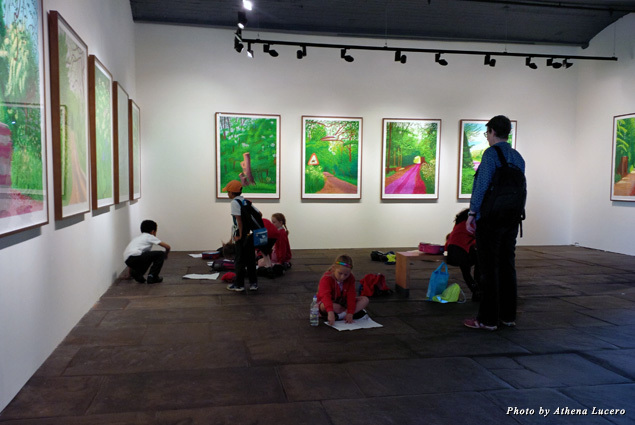 When Rowley talked about local artist David Hockney and the UNESCO World Heritage township of Saltaire, I listened. The connection? The 1853 art gallery complex—named after the date Sir Titus Salt built what would become the historic Salt’s Mill—is currently home to the largest collection of the artist’s works. During the Industrial Revolution, Salt was a hugely successful wool manufacturer and a deeply compassionate philanthropist. In the late 19th century, he built the industrial village of Saltaire (a combination of his name and the River Aire) to house thousands of mill workers and their families, complete with a church, a hospital, and schools. Saltaire, designed with the highest architectural quality, is today a living community and tourist destination. 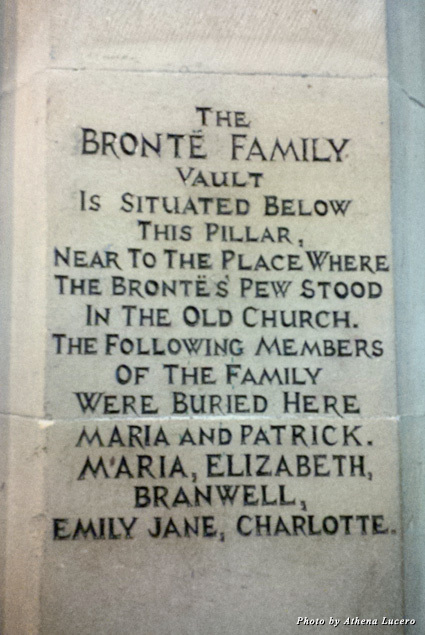 Speaking of family, the “world’s most literary family,” the Brontës, leaves its legacy in Yorkshire. A walk through the rooms inside the Brontë Parsonage Museum in Haworth (the Brontës’ home from 1820 to 1861) is a peek into the hearts and minds that wrote some of the most profound 20th century classics, among them “Jane Eyre” (by Charlotte Brontë) and “Wuthering Heights” (by Emily Jane Brontë). 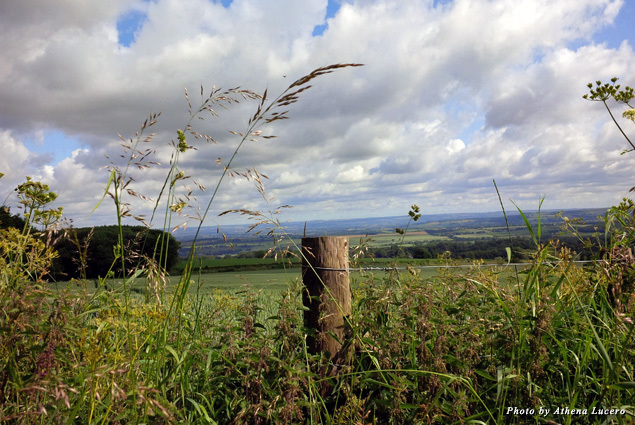 Not far from Yorkshire, I rebooked my return flight in order to visit with dear friends in Derbyshire, the county next door. It was here that I finally sank my teeth into the buttery, flaky Yorkshire pudding I had been in search of all week (it’s typically made fresh at home for Sunday supper). 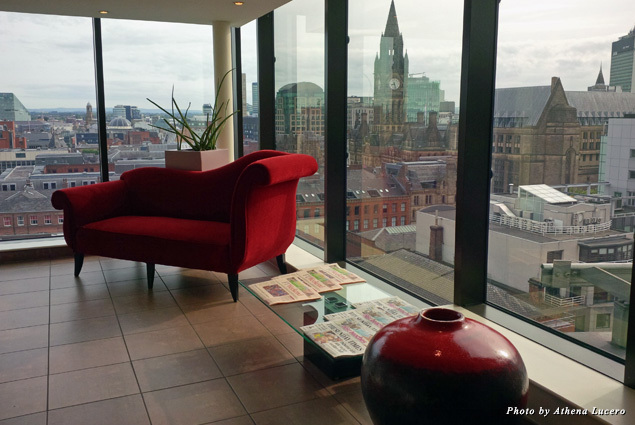 Lo and behold, Manchester chalked up another star when I booked my last night at the Radisson Blu Hotel Manchester Airport, the city’s only lodging at the airport. When was the last time you slept in on your day of departure because the airport terminal was right outside the door?